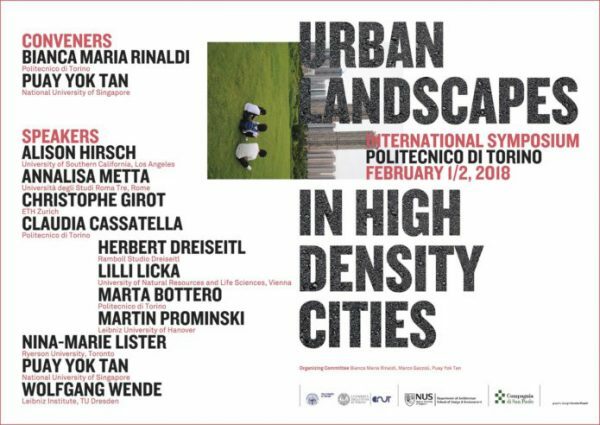 “Urban Landscapes in High Destiny Cities” is a 1.5 day event in the beautiful landscapes of Turin in Northern Italy. The symposium groups several industry leaders to discuss the significance of urban landscapes and the social, economic and ecological benefits they bring. The discussion intends to explore design approaches and interventions that have helped a variety of urban centres from around the world. This event is a joint effort, combining the skills of Politecnico di Torino and the National University of Singaporethe to stir the ideas of socio-ecological development and assessment. Through this the event speakers, hosts and listeners seek inspiration to make densely built cities a better place to work, live and play.